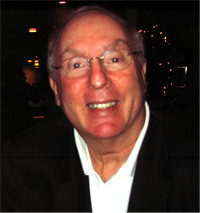 Medication is one of the core treatments for ADD/ADHD and has a history in child psychiatry going back over fifty years. Although stimulant medications (called stimulants because they cause stimulation in non-ADD/ADHD persons and, paradoxically, the opposite in those with the disorder(s)), are by far the most effective and widely used drugs, currently the treatment of ADD/ADHD also includes other classes of psychotropic medications. These are far less effective but might be necessary when stimulants alone don’t work or cannot be tolerated. These include some antidepressants and blood pressure medications. ADD/ADHD medications have received a lot of publicity over the years, mostly because of the millions of children who have received them. Reports have ranged from raves about their effectiveness to diatribes against their safety that instill the fear of death in parents. In fact, these medications are the most widely used in child psychiatry and have been the most studied, so they are some of the safest medications out there, although there are some side effects which are usually transient and mild. 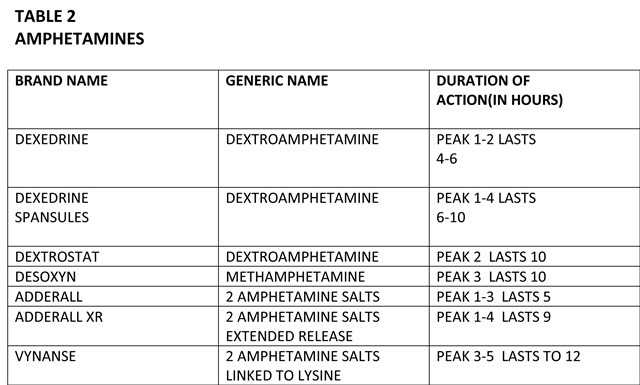 The stimulants are not only effective agents to treat ADD/ADHD, but also work quickly. There are two major classes of stimulant medications; methylphenidate (i.e. 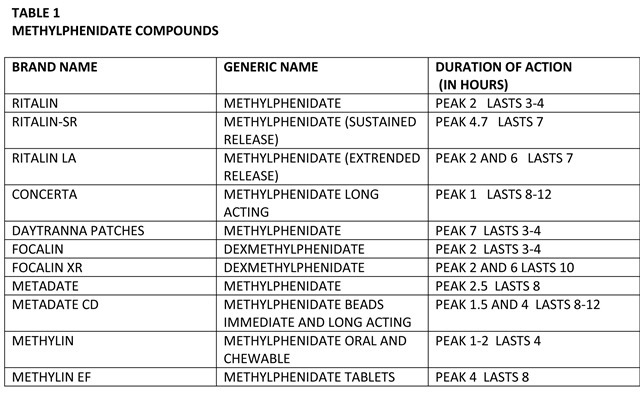 Ritalin) and its derivatives, and amphetamine (i.e. Adderall) and its derivatives. (See lists below). All the stimulants are approved for children six years old and over. Adderall, Dexedrine, and Dextrostat are also approved for children as young as three years old. 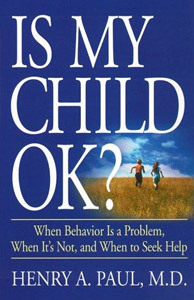 Having said that, each psychiatrist develops his own style for prescribing within the overall safe parameters of the profession, and personally, I try to be as flexible as possible and make sure that the parents and the children that I work with understand why I am prescribing the medication and all the possible complications involved with it. My goal is to decrease the resistance or fear. 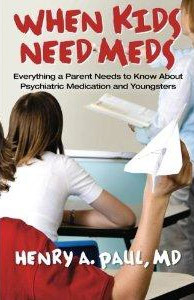 The important thing is for parents to do their homework and to understand actually what these drugs can and cannot do. Now that you suspect that your child may be suffering with ADD or ADHD it is important to get a proper diagnosis. The diagnosis of ADD or ADHD is best made by a child psychiatrist. There is no particular psychological or blood test to diagnose the disorder. The most effective way to diagnose ADD or ADHD is by gathering a history about your child from you, your child’s teachers, and others who interact with your child on a regular basis including coaches, tutors, childcare personnel, and so on. Thus a lengthy history gathering is necessary. Care has to be taken to rule out other disorders that can look similar, especially anxiety disorders, depression with agitation, and post-traumatic stress disorder. Also remember sometimes children can react to situations that exhibit some of the symptoms of ADD or ADHD, but these symptoms are only short-term and passing and do not make the diagnosis. It is important to remember that therapy for common secondary effects of ADD/ADHD such as feelings of isolation, alienation, depression is every bit as important as treating the syndrome itself. Once you have the proper treatment in place there will be ongoing monitoring to make sure that your child is responding well to treatment. This is the beginning of treatment for your child and you will be working closely with your child’s psychiatrist over however long a period of time is needed to make sure that your child is responding well to treatment. WHAT IS ADD & ADHD? The links above show the new numbers that were released in November showing a significant rise in the number of school aged children diagnosed with ADD (or ADHD). Attention Deficit Hyperactivity Disorder (ADHD) where the hyperactivity/impulsive characteristics predominate. Attention Deficit Disorder (ADD) where inattention predominates and there are fewer behavioral problems characteristic of children with ADHD. Combined Type where there are both inattentive and hyperactive/impulsive characteristics. It’s true that many of these characteristics, to some degree, are common to all children. This in no way lessens the validity of the disorder. A child’s ability to focus, sit still, follow commands, control activity, show patience, and manage feelings develops at different rates. There is no such thing as a perfectly normal timeline and because of this, it’s important not to jump to conclusions. A good measure is that by kindergarten these areas of development should be growing, and by the end of first and second grade, they should be well along. If not, then chances are your child is in a great deal of discomfort and might be suffering from ADD. Don’t be fearful of an ADD diagnosis. There are many ways to treat it and children can find success in school and their daily lives with the proper help and support. In my next blog I will discuss diagnosing ADD, what causes it and how it is treated. 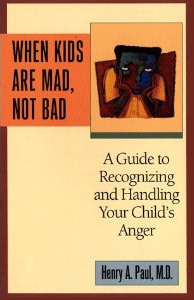 Once you realize that your child needs professional help the next step is finding that help. There are various types of therapy that are generally recommended for specific psychiatric disorders. At first glance, those therapies cover a bewildering range not only of the conditions they are designed to treat but of the philosophies and techniques they employ to treat them. What criteria does a parent use to choose? Help is relatively easy to find; through your doctor, your child’s school, your local hospital or medical clinic, your religious organization or the local mental health organization in your municipality. Ideally every child or teen should receive a broad based clinical mental health evaluation. This entails the family and child being interviewed. A child/teenage psychiatrist (one who has done a residency or fellowship in child/adolescent psychiatry) is the most broadly trained of all the child mental professionals and can spot the need for possible medication right away. They can also provide psychotherapy if needed. Many locales do not have a psychiatrist, and in that case other mental health professionals can perform the evaluation and therapy as well. Licensed psychologists, social workers, psychiatric nurse specialists and mental health counselors all work in this area. The important thing to remember is that they need to have had special training and experience in working with young people. Do the research before you choose. The next thing to consider is recommendations from others who have sought help from the individual. Did it help? Was he/she available when needed? Lastly, trust your gut. After meeting with the therapist ask yourself how comfortable you and your child are. What was the atmosphere? Was he/she flexible regarding times? Ask about his/her understanding of the problem. How long should the treatment last? What will you look for as far as progress is concerned? Ask all you can if medication is prescribed– side effects, how to take it, what symptoms are being targeted and how to go off it. Sometimes just one visit can be clarifying – the therapist may have so much knowledge of your child’s minor problem that direction can be given on the spot, and that may be all the therapeutic advice you need. Maybe just the parents need some education and counseling. 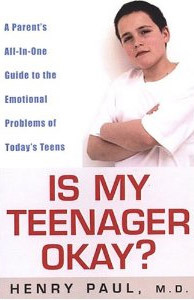 For more serious issues, longer-term therapy for the child/teen might be needed. The family is usually included especially for pre-teens. Ask about fees and insurance, too.